Gimme Danger, the documentary about the Stooges premiered at Cannes Film Festival in May, then was screened at the Toronto International Film Festival earlier this month. The film is now ready for its highly anticipated Detroit premiere! The film premieres in Detroit on October 28th -- a full week before the film opens nationwide. Gimme Danger screens exclusively at the Detroit Institute of Arts starting October 28th, and tickets for the raucous and crazy tale of the Stooges are available now. 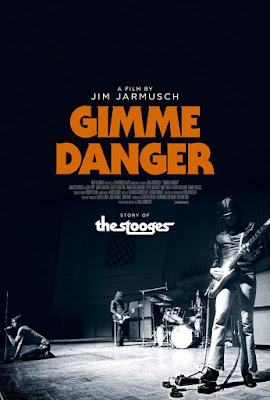 Directed by Jim Jarmusch, Gimme Danger tells the incredible story of the Stooges through a collage of archival footage, interviews, and live performances. Dates and showtimes are posted below, and tickets (and more info) can be obtained at the DIA. View the trailer for Gimme Danger here.